Despite the high registration fees for an event that awarded national points to the single best result at the rate of 0.2 of national points, the overall turnout was pretty good. There were a total of 1,094 registrations, though the actual number of fencers was less since some fencers registered for more than one event. As expected, the western US, Region 1 and Region 4 collectively formed more than 70% of the field, with the other regions forming slightly over 25% of most fields. The foil numbers were between 30% to 40% larger than epee and saber, a much larger gap than usual between the 3 weapons compared to NACs. The gap is most likely attributable to the contemporaneous foil Grand Prix that served as a real attraction for foil fencers of both genders. 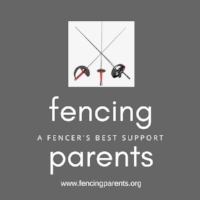 US Fencing’s bonus of free entry to the Grand Prix for SJCC participants, and the 50% discount for their parents was a much appreciated gesture that probably contributed to the large turnout on Sunday for the final 64s at the Grand Prix. That California is home to the single largest group of fencers under 18 among the 50 states probably boosted the total attendance numbers at the Grand Prix. For epee and saber fencers though, the SJCC in Anaheim was not as attractive of a deal. Without the incentive of a simultaneous world class fencing event to attend, cadet and junior fencers in epee and saber did not attend in the same numbers given the more restricted opportunity to earn national points at the same cost as NACs. Registration numbers for epee and saber were 30% to 38% less than the registration numbers for foil, a substantially larger gap than at NACs for junior and cadet events where the gap ranges between 12% and 18%. the SJCC benefited from the contemporaneous foil Grand Prix as it served to attract larger numbers of foil fencers. A simultaneous world class event should be a major attraction for fencers in that specific weapon and gender, provided the event is held in the right location. the SJCC benefited from its location in California, which is home to the largest number of fencers under 18 amongst the 50 states. It will be wise going forward to hold SJCCs in locations where there are large numbers of local fencers who can support the event. A large turnout will generate significant revenues to help cover the high costs of hosting the contemporaneous international event. the free entry to the Grand Prix for SJCC foil participants mitigated the high entry fee costs for a regional event. The SJCC may be a good deal for some, and not so appealing for others. US Fencing should consider lowering the registration and event fees and bring them in line with other regional qualifying events. Perhaps, US fencing could charge discounted entry fees to SJCC participants instead when there is a contemporaneous international event. Everyone was very pleased with the excellent venue set-up, with lots of chairs, water supply, fewer barriers around the strips and plenty of electrical outlets The spaciousness of the Anaheim Convention Center made for a very pleasant experience. The food from the lone food truck was good, if a little pricey. There were plenty of cheaper food options within 2 blocks of the convention center, so fewer people felt ransomed by the high food prices. Parking was very convenient, and reasonable at $16 for a single entry for the day. And for the first time this year, California fencers did not have an expensive, inconvenient flight to take. In fact, many of them did not need a hotel room at all.